Car shopping in the San Marcos area for brand name luxury car? Look no further than the new vehicle inventory at BMW of Escondido. We have 146 BMW models in stock, from the popular BMW X3 to the fan favorite 5 Series. Our sales team is standing by to get you behind the wheel of the model that best suits your budget and driving needs, and we always have rotating vehicle specials to give San Diego drivers the lease and finance deals they’re looking for. 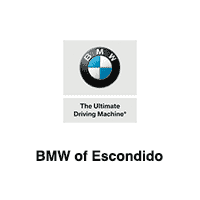 Stop by BMW of Escondido to browse the BMW models for sale in Escondido, CA! Calculate your lease or finance payments here, and then contact us today to get started to see why, if you’re serious about enjoying the scene around Escondido, BMW of Escondido is the go-to place for your next new car purchase.